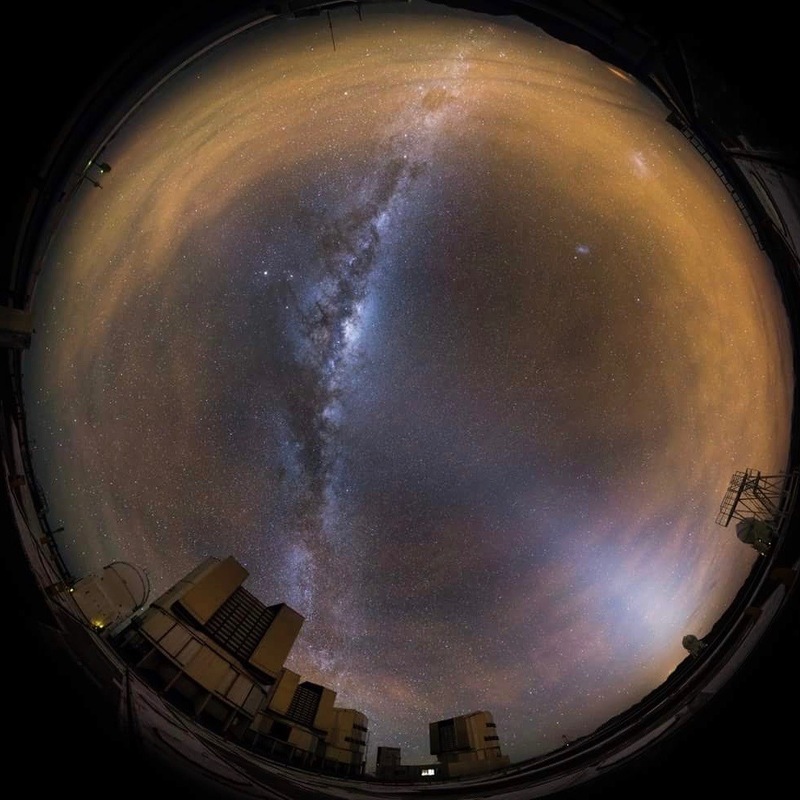 With an instrument at the Very Large Telescope in Chile scientists of ETH Zurich and NCCR PlanetS observed planet-forming disks around young stars similar to the sun 4,5 billion years ago. Surprisingly, the disks are very different. The largest extends almost ten times further into space than the smallest. The data will help to shed more light on the formation processes of planets. The results for the first eight stars are released in a paper published by the “Astronomical Journal”. “Not only were we able to clearly detect all eight disks,” summarizes Henning Avenhaus, “but, surprisingly, they looked all very different in particular with respect to their size.” While some of them could only be detected with a radius of 80 au (80 times the distance Sun-Earth and about twice the average distance Sun-Pluto), others could be traced out to an astounding 700 au. 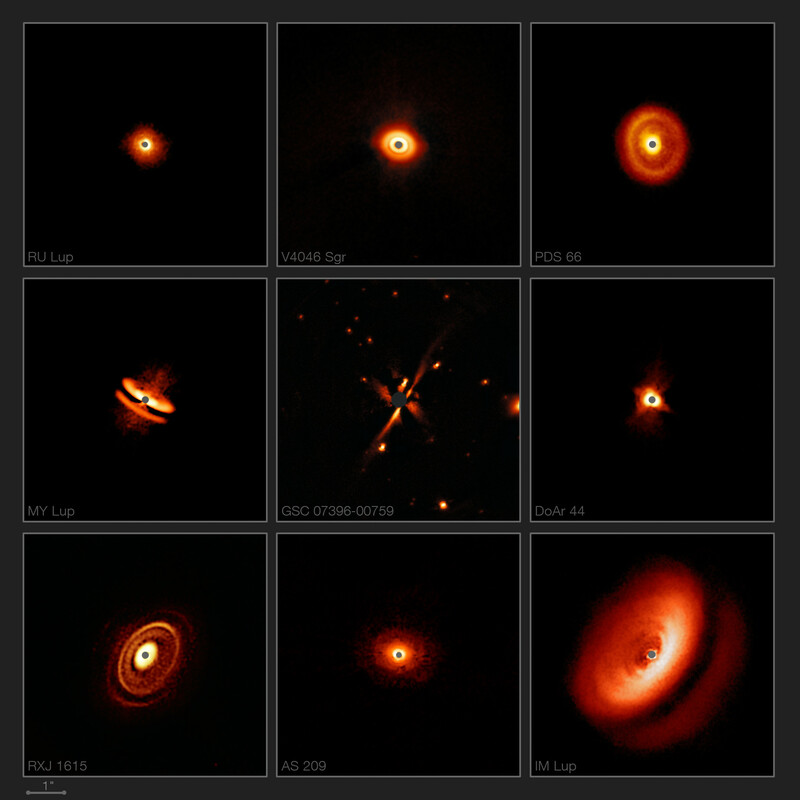 “Most of the disks were found to display rings, a phenomenon known from previous observations of more massive stars,” explains Sascha Quanz: “However, none of them displayed spiral structures, which is a phenomenon seen regularly in Herbig disks.” A key question is now to understand where this difference is coming from and what it means for planet formation around different types of stars. As successful as the project was, it started on a bad footing, as Henning Avenhaus remembers: “While the first proposal to undertake such observations was already written in March 2013 and highly rated (back then using the older NACO instrument), unexpected works that had to be performed on the instrument made it impossible to take data.” The same happened again in September 2013. Again, the instrument was not available. A third attempt in March 2014 did yield the requested scheduling – in March 2015, when Henning Avenhaus flew to the telescope just to find out that the instrument (still NACO) had a malfunction the night before the observations were scheduled to start. Not that it mattered: Wind and clouds made it impossible to observe anyway. The data taken over the course of several nights in March 2016 and in the following year were of very high quality. More than five years after the idea for the program, the researchers are now rewarded with results that will help to shed more light on the formation processes for planets. 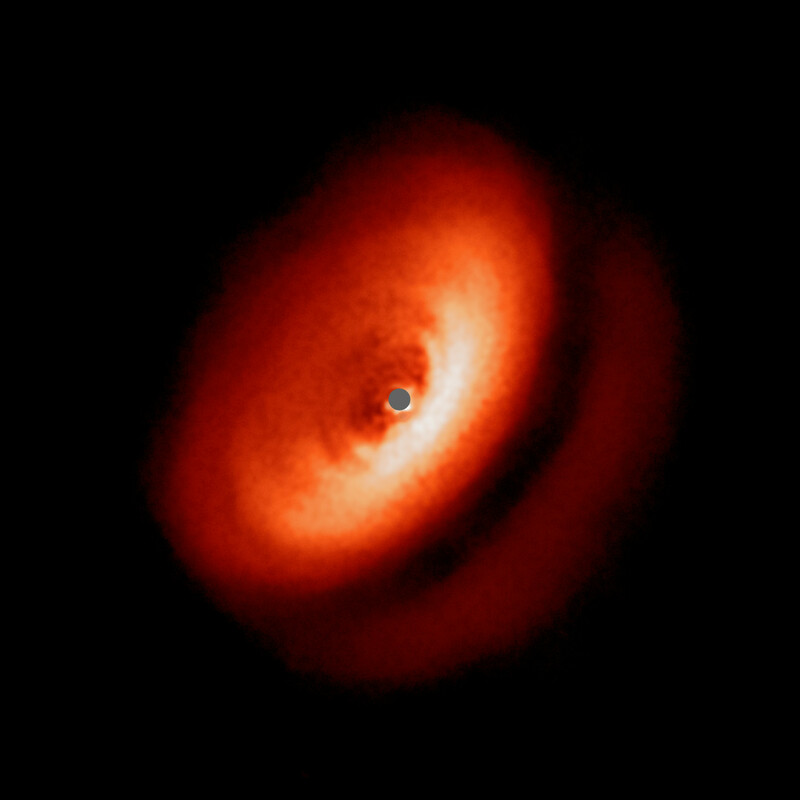 “This high-quality dataset impressively shows the power of SPHERE for these observations and significantly increases the number of planetary nurseries studied at high resolution enabling us to eventually get a statistical grasp on planet formation,” summarizes Sascha Quanz. More detailed investigations of the data for specific sources are under way (Casassus et al. submitted, d’Orazi et al. in prep.) and more data will be released within the program, along with ALMA data from an accompanying DARTTS-A project led by Sebastián Pérez, Universidad de Chile.